There is a page of Barney related photographs here Murderpedia. Most of them I’ve already posted but they are worth looking at together. It’s getting harder and harder to find different images to brighten up this blog. Not having access to a scanner doesn’t help. As ever, all suggestions (apart from the obvious – just buy a scanner) welcome. 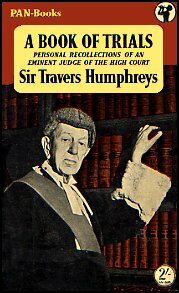 At the end of a long and distinguished career, Sir Travers Humphreys wrote A Book of Trials (1953). He had been involved in some of the most celebrated trials in English history – Oscar Wilde, Roger Casement, Crippen, Haigh etc. – so it is perhaps surprising that he chose to end the book with a chapter on Elvira. Part of the reason for this was the widespread rumour that Humphreys had been surprised by, and not a little appalled, by the verdict. In this chapter he (partially) refutes this and offers, in the guise of a review of Patrick Hastings account of the trial, an analysis of the issues involved. It is a fascinating and cogently argued piece and sheds light not only the dynamics of the case but on the English judicial process as it then operated. 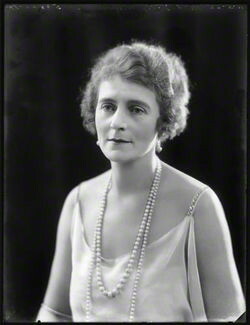 “I have been reading, not for the first time, the account of the trial of Mrs. Elvira Dolores Barney to be found in the book by the late Sir Patrick Hastings entitled Cases in Court. 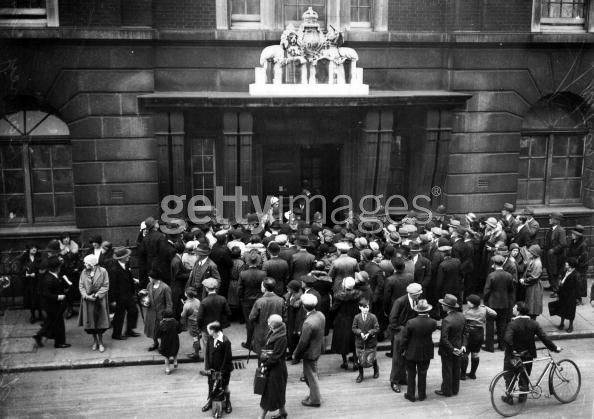 The trial took place in 1932 at the Central Criminal Court, and it happened that I was the judge. The chapter devoted to this case may be recommended to all young practitioners at the Criminal Bar, and to any other reader who may be interested in studying the method of approach by a master in the art of defending prisoners to a series of facts, most, if not all, of which would, each by itself, be insufficient to justify a conviction on the charge against the accused, namely murder, but which, taken together, clearly struck Sir Patrick as presenting a most difficult task to counsel for the defence. I have not the least intention of re-telling the story of a trial in which the woman accused was acquitted upon the facts by a jury, and I should prefer not even to comment on the case if I thought that anything I wrote might seem to suggest that I disagreed with the verdict.The fact is that to me the most intriguing part of this chapter of the book was the difference between Sir Patrick and myself in the views which we formed of the strength of the case for the prosecution – as it appeared on the depositions taken at the Police Court, that is, the case as it reached me a few days before the trial. I need scarcely say that we approached the matter from essentially different standpoints. Hastings was concerned to find answers to certain, undoubtedly awkward, pieces of evidence; my object was little more than to learn something of the nature and length of the case, since I made it a practice not to read newspaper or other unofficial reports of proceedings at Police Courts in cases likely to be committed for trial which might ultimately come to be tried by myself.I now know that Sir Patrick had been briefed at the Police Court, though he wisely refrained from cross-examining the witnesses. To that extent he had the advantage of me. The following short facts are taken from Sir Patrick’s book. Mrs.Barney was a spoilt child of fortune. 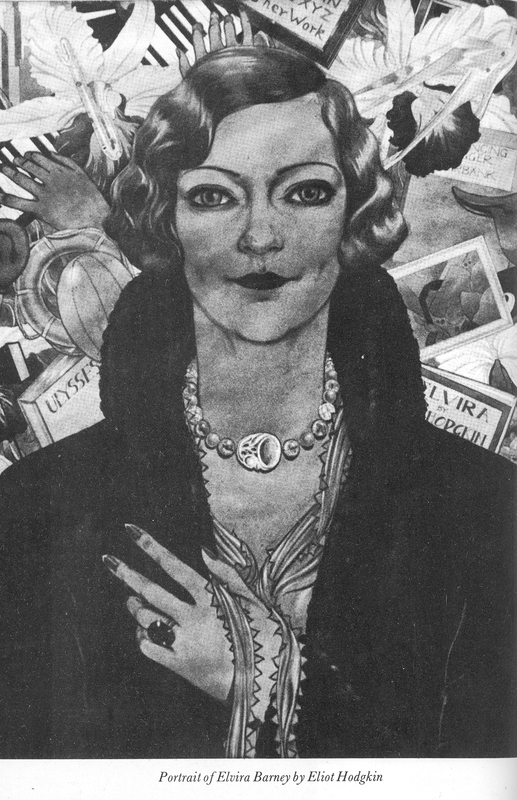 The daughter of wealthy parents, she had early drifted into an atmosphere of idle luxury. She was married but did not live with her husband, had no interests except those to be found in night clubs, drank far too much and occupied a flat in London where she lived with a young man named Michael Stephens. He had no money, no regular occupation and was content to live on the money provided by Mrs. Barney. There were repeated quarrels and noisy parties, so that the pair were a constant source of annoyance to the respectable inhabitants of the mews in which they lived. On the night of May 31st a doctor in the neighbourhood was called on the telephone by Mrs. Barney. “Doctor, come at once/ There has been a terrible accident.” He went to the flat. Mrs. Barney was in a state of extreme hysteria. Stephens lay dead upon the stairs. On the floor was the revolver belonging to the woman, with which the man had been shot. To doctor and police Mrs. Barney, though too frenzied to give a coherent account, repeated again and again that there had been a quarrel, that she had threatened, as she had often done before, to commit suicide by shooting herself with a revolver which she always kept in a drawer beside her bed. Stephens had tried to prevent her carrying out her threat; in the struggle the pistol had gone off, shooting him through the body. She was taken to the police station, where she repeated the story once more, and there being no other information she was released and allowed to go home with her mother. The police, of course, continued their inquiries, which led to them finding fresh witnesses, not indeed witnesses to the actual shooting, but, as Sir Patrick considered, witnesses whose evidence, if accepted, would make the theory of attempted suicide much more difficult to establish. The Director decided that Mrs. Barney must stand her trial, and she was arrested and later committed for trial. The further evidence above referred to may be considered under four heads. a) Evidence that two shots were heard on the fatal evening. These witnesses were not very satisfactory and their evidence as to the number of shots heard by them was even contradictory. It seemed not unlikely that they had learned that the police had found the mark of a second bullet in the bedroom. Mrs. Barney accepted the latter fact and explained it. She said that on previous occasions she had threatened suicide and had fired in the room to frighten Stephens, not at him nor, indeed, near him. b) A witness who heard the fatal shot and who added that he heard Mrs. Barney shriek, “I will shoot you”, just before he heard the sound of the shot. The obvious answer to that was put forward by Sir Patrick in suggesting that the words were, “I will shoot”, referring to killing herself, not her lover. c) The inhabitants of a flat lower down the mews spoke of having heard the sound of a violent quarrel at the flat some days earlier and saw Stephens leave the building and walk away; as he did so Mrs. Barney opened the upper window, screaming, “Laugh, baby, laugh for the last time” – she then produced a revolver and fired, as they alleged, at him from the window. Nothing more was heard of this occurrence, and no one apparently thought it necessary at the time to inform the police. In those circumstances no one would quarrel with the decision to arrest Mrs. Barney in order that the death of Stephens could be more fully investigated. “This case should not last very long. The woman gave an account at the time when, according to the doctor, she was not in a condition to invent or concoct a defence. She has throughout stuck to that story. Unless she breaks down in cross-examination, or the prosecution can satisfy the jury that her story cannot be true, they will never convict her of murder. If the charge were manslaughter the case would be very different. Patrick Hastings is defending her and if anyone can get her off altogether he is the man to do it, but if Percy Clarke, leading for the prosecution, stresses the manslaughter I don’t think he will succeed. At the trial Hastings defended her brilliantly and, what in this case was much more important, with consummate tact. There was no attack made on any witness for the prosecution but each incident was made to fall into its place in the picture of attempted suicide. As he himself has written: ” The whole scheme of the defence was to bring all the evidence into line with the possibility of attempted suicide. That would be sufficient to justify his defence to the charge of murder, since murder in such a case consists in unlawful killing with the intention of at least seriously injuring the deceased man. Mrs. Barney made as good a witness as could be expected of any woman in her position. She was restrained and kept her emotions under control. It was not a case in which the jury were likely to feel much sympathy for either the dead or the living, but at least she said nothing to increase the prejudice against her caused by the story of her wasted life. “Upon the whole,” writes Sir Patrick, “she was not much shaken by her cross-examination.” The defence had in their favour one unusual piece of luck, or, should I say, they took full advantage of an error on the part of the policeman first called to the scene of the tragedy. 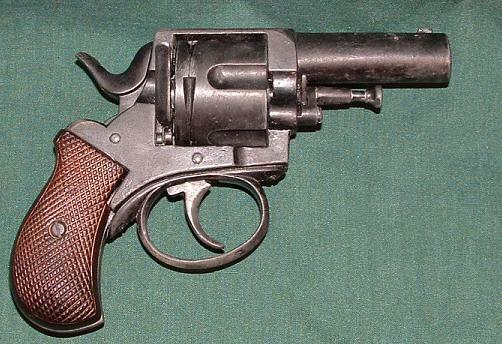 No attempt had been made to examine the revolver for finger-prints until it had been handled by several people, and the defence were entitled to say to the jury that had the precaution been taken the finger-prints of the deceased might have been found on, or near, the trigger. As it was, the examination when made showed many blurred and unidentifiable prints, the only one clearly defined, being that of one of the detectives in the case. There remained the question of manslaughter. Sir Patrick states, and I assume he must be right, that nothing had been said by Sir Percival Clarke as to manslaughter in his summing-up to the jury of the case for the prosecution. If so, I am sure that theremust have been some good reason in his mind for the omission, though I do not profess to understand it. As a matter of law,the more the theory of attempted suicide was stressed the more clearly would it appear that the deceased man was killed as the direct result of the unlawful act of the accused. Thanks to the comedic tradition exemplified by A.P.Herbert and others we tend to have a view of judges as well-meaning but hapless old buffers. The above gives the lie to that stereotype. There is a wealth of insight here, into the case, into Establishment thinking and into the legal process. There is also a considerable amount of carefully concealed self-justification. A couple of things seem apparent to me – firstly, the prosecution case was marked by complacency and ineptitude, and secondly there is no justification, under English law, for Elvira to be termed a Murderer, as she still, routinely, is. As to the truth of what really happened that night – well, that is still, and likely to remain, a mystery. Michael Scott Stephen’s elder brother, Francis, was the only member of the Stephen family to be interviewed by the Police. He was two years older than Michael and was a solicitor, then residing in Putney.He was questioned very briefly at the trial and at rather greater length at the inquest. This is from the inquest. There is a difference between this statement and the court one regarding Michael’s physique. In court Francis says that Michael was physically strong but in poor health – he also answers a question by agreeing that he would be considered good-looking. Given that the prosecution case depended heavily on Elvira’s supposed jealousy and the unlikelihood of a woman wrestling the gun off a man – it may be that Francis had been briefed accordingly. Why does Francis switch to the plural in describing what happened at the office? Had Michael and Elvira been summoned at the request of the father? If his father had already disowned Michael, as is often suggested, why was he so worried about his son’s relationship with Elvira? If Michael was already firmly established as a wastrel then what did it matter that he was living off the income of the daughter of one of the wealthiest men in London? Was this just good old middle-class respectability (with a touch of Scottish puritanism) or was Elvira’s reputation already a matter of concern? Incidentally, why was Elvira even there? It does have something of the the appearance of a “family crisis” meeting. The other point worth noting is that it is Elvira who tries to calm Michael down. This runs counter to any other anecdote about Elvira’s general behaviour and possibly gives some credence to the notion that there was more than one volatile person in the relationship. After his brief moment in the public eye, Francis Richard Stephen continued his career in the law. I’m not absolutely sure but I think he was a solicitor in Nairobi after the Second World War moving to Somerset in the 1960s.If he is the same Francis Richard Stephen who died at Bath in 1995 aged 90 then he had a much longer and, hopefully, less troubled life than his unfortunate brother. Tomorrow (30th May 2012) marks the eightieth anniversary of the cocktail party that Elvira held at William Mews ( see https://elvirabarney.wordpress.com/2012/03/17/elviras-cocktail-party-a-reminder/). According to Peter Cotes the couple stayed in bed till noon, having attended a party on the previous night (Sunday 29th). 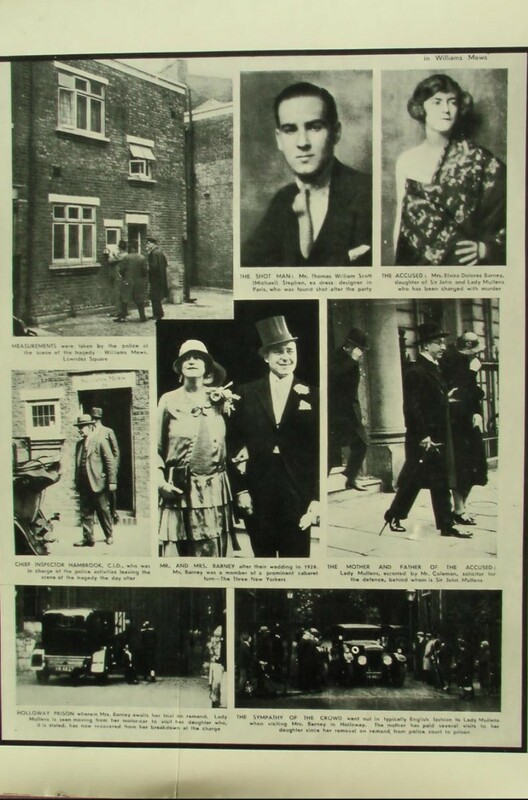 They had rowed on the Saturday about Michael’s gambling but were friendly enough on the Monday and had lunch in the West End (possibly at the Park Lane Hotel) accompanied by a fair amount of alcohol. They returned to the Mews to prepare for the party and Michael rang a number of people with last minute invitations. It was, for them, a fairly normal day. 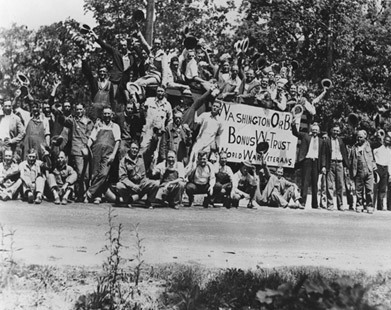 In the wider world, the Bonus Army was gathering in Washington, giving the American government its first large-scale confrontation with the issue of mass unemployment and introducing the term “Forgotten Man” into popular culture. In Germany, Heinrich Bruning resigned as Chancellor and the Weimar Republic effectively entered its final phase. It is unlikely that Elvira either knew or cared about either event. 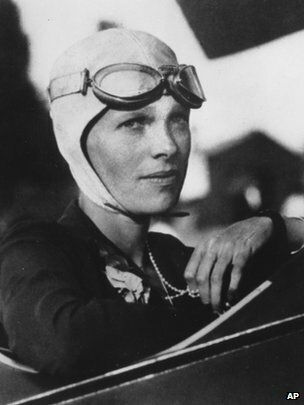 She is more likely to have followed the aftermath of Amelia Earhart’s transatlantic solo flight. Earhart had landed in Derry on May 20th after a 15 hour journey and the papers were still full of images of the intrepid aviatrix. 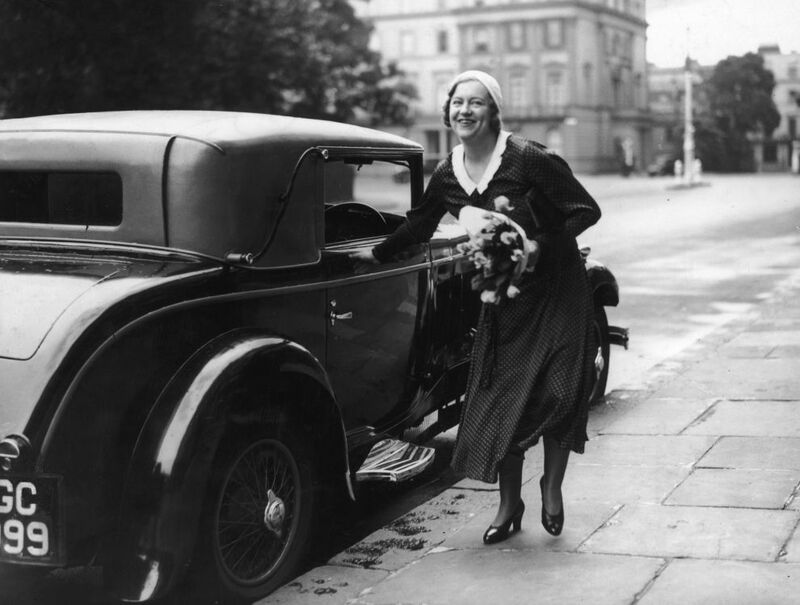 Or maybe, Kate Meyrick, who had received her last custodial sentence earlier in the month, and having promised to have nothing more to do with night-clubs returned in triumph to the “Bunch of Keys” (the old 43). Like every English newspaper reader, she would have been amused by the continuing coverage of the disgrace and downfall of Harold Davidson, the Rector of Stiffkey, whose exploits dominated the popular press that year. 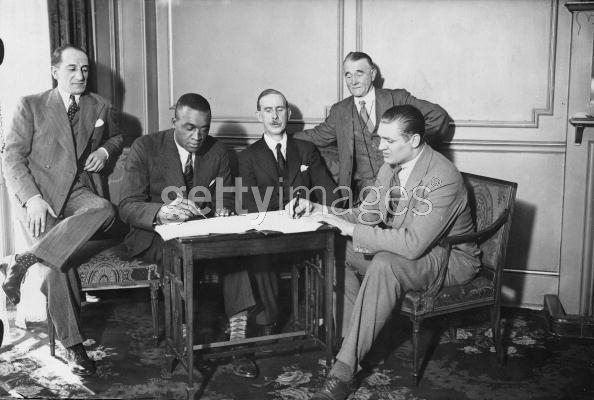 The big sporting event in London on May 30th was the fight between Primo Carnera and Larry Gains. Both were feted by West End society, Carnera as a Soho night-club regular and Gains, the first boxer to challenge British boxing’s colour bar, as an associate of Ernest Hemingway and the Parisian set. 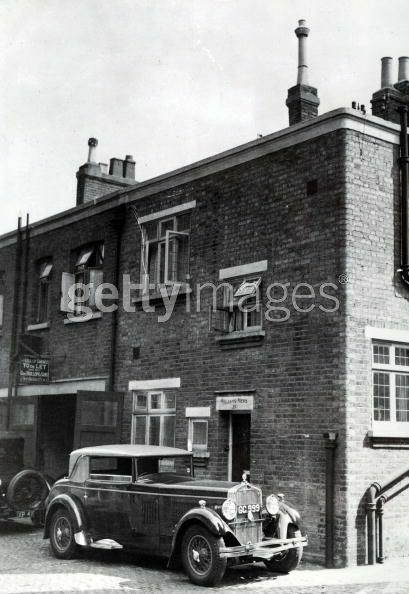 Gains’ “training camp” was often at the Piccadilly hotel and several fashionable folk went to watch him there before dancing to the Hotel’s chic cabaret (Syd Lipton et al).Leonie Fester told the police that Elvira and Michael attended boxing matches together. I’d put money on the Gains-McCorkindale fight at the Albert Hall in january 1932 (which broke the colour bar ruling) as one. The occasion was one that resonated with many a Bohemian and socialite, who were there in surprising numbers. Boxing and boxers were great favourites of the fast set, Gwen Farrar, Dolly Wilde and friends were listening to a title fight when Ruth Baldwin, an attendee at the Mews party, overdosed and died. Gains won on points. In the light of the events of the early hours of tuesday morning, Michael and Elvira might have been better off vicariously enjoying violence rather than engaging in their own deadly combat. Michael Scott Stephen died at 4.45a.m. on Tuesday 31st May. After her death, Elvira Barney’s name was kept alive only in the world of “True Crime” writing. She features in endless books bearing titles such as “Masterpieces of Murder”, “Crimes of Passion”, “The Murderer’s Who’s Who” and so forth. 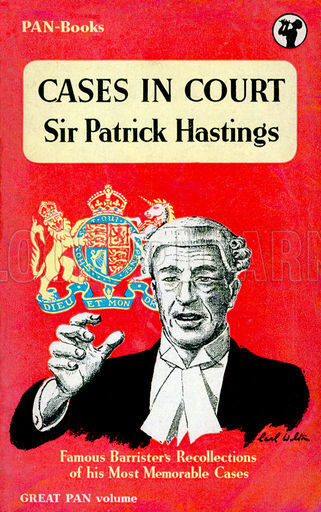 All tell pretty much the same story, concentrating on the Mayfair Parties aspects of the case and the brilliance of Sir Patrick Hastings for the Defence. All assume Elvira’s guilt. 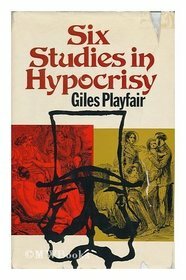 Apart from the routine comments regarding Society high-jinks at a time of mass unemployment, there is very little in the way of social or psychological analysis, a notable exception being Giles Playfairs “Six Studies in Hypocrisy“. Peter Cotes’ introductory essay to the Trial transcription remains the fullest description of the events surrounding the shooting and is hard to fault, as far as it goes. Cotes’ book benefits from his knowing people who knew Elvira and from his one encounter with her (see https://elvirabarney.wordpress.com/2012/02/01/clubs-smokey-joes/). One other crime-historian also used a personal anecdote to enliven an otherwise standard narrative. 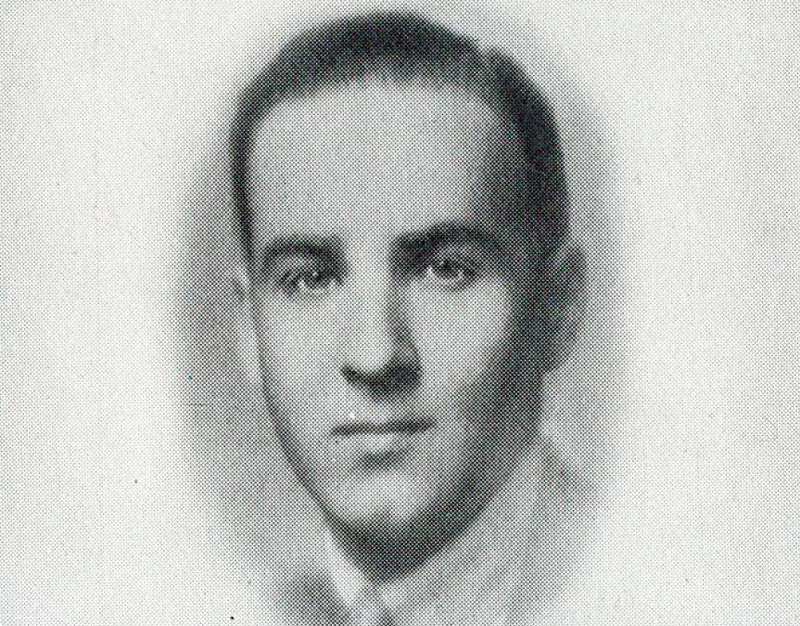 Rupert Furneaux was a prolific writer on various subjects – military history, unexplained phenomena and celebrated murder trials. 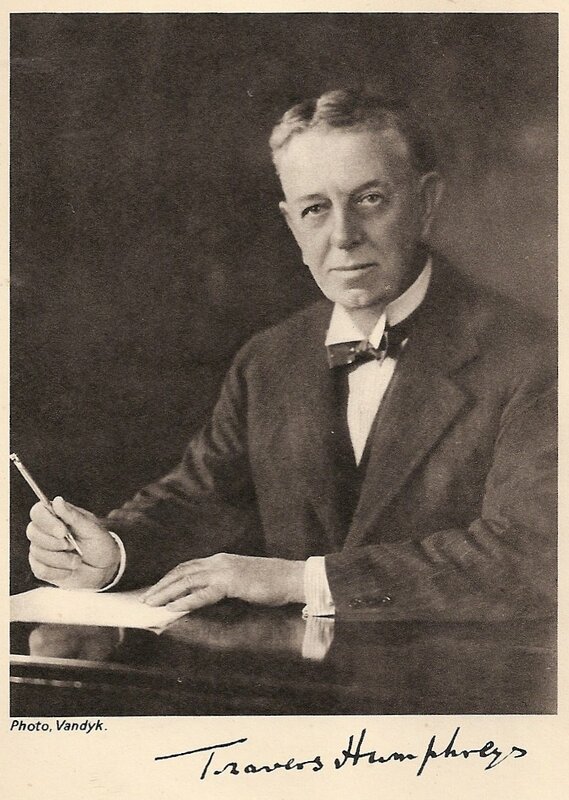 He produced the first full length study of the Erroll/ Happy Valley case. 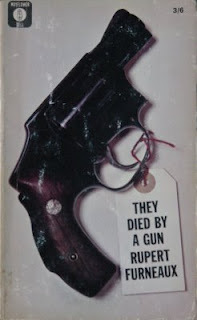 His 1962 book “They Died By A Gun” covers a number of well-known cases (Ruth Ellis, Madame Fahmy etc.) and his chapter on Elvira (“Laugh, Baby, Laugh” ) adds a couple of face-to-face observations to an otherwise conventional re-telling. Of Elvira he says, ” though a leading member of London’s Smart Set, Elvira was neither “gay” or “beautiful”. 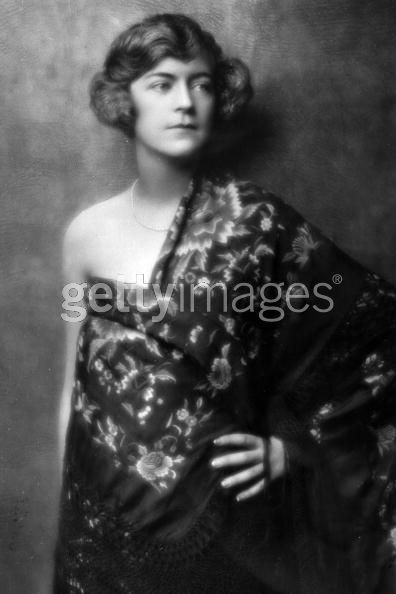 I remember her as drab, coarse, rather fat and usually drunk.” I’m not convinced that Elvira was a leading member of any “Set”, smart or otherwise but the unflattering adjectives certainly correspond to other accounts of the post-1932 Mrs. Barney. Amusing as this might be, I think it is probably a fiction. 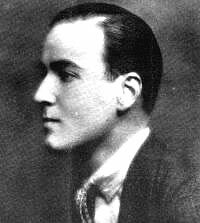 Furneaux was living in Kensington in the early thirties so he may have known Elvira. However, the lack of specifics (where did this take place?) and the reliance on cliche ( I am sick of the term “sleazy clubs”, which applies to very few of the venues Elvira favoured) do not inspire confidence. As to what constituted a “notorious pub” is anyone’s guess. The point is, of course ,both to boost Furneaux’ credibility and to leave the reader in no doubt as to the “truth” of the shooting. The most promising aspects of Furneaux’ account are the parallels he attempts to draw between Elvira and Ruth Ellis This is a bit stretched as to the facts but has some strength in terms of thinking about Elvira’s character and the possible similarities between Scott Stephen and David Blakey. A proper comparative study would be quite enlightening. 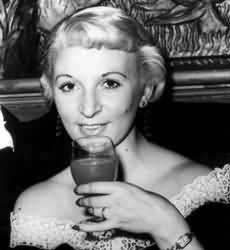 In the absence of which, expect the odd digression concerning Ruth Ellis to crop up here in the not too distant future.